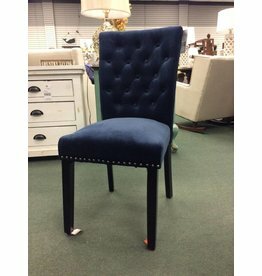 Brand new dining chair with tufted back and navy velvet upholstery. 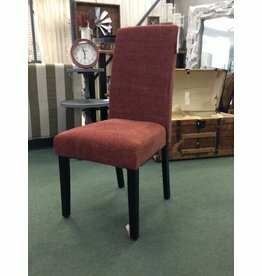 Muted orange upholstered dining side chair with black legs. 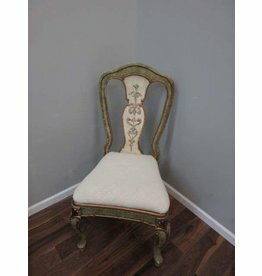 Accent your room with a green and gold side chair.